the nytpicker: Whoops! Leggy Former Portfolio Editor Joanne Lipman Makes Mulitple Mistakes In Today's Op-Ed Whine About Women. Whoops! Leggy Former Portfolio Editor Joanne Lipman Makes Mulitple Mistakes In Today's Op-Ed Whine About Women. On today's op-ed page, former Portfolio editor Joanne Lipman declares in definitive terms that the women's movement "has stalled" and that attitudes towards women "have taken a great leap backward." True? Maybe -- although her sweeping generalizations about women often sound out of tune with reality. She calls reports of advances for women in recent years "spectacularly misleading," without explaining why. But Lipman's piece -- a whiny, disorganized and poorly-argued mess called "The Mismeasure Of Woman" -- also makes use of several false and misleading statements to make her ill-considered point. After graduation, when I first joined The Wall Street Journal, I could count the number of female reporters there on one hand. The tiny ladies’ room was for guests. The paper was written by men, for men. It didn’t even cover industries that were relatively female-friendly, like publishing, advertising and retailing. When the newspaper finally did introduce coverage of those sectors a few years later, most male reporters weren’t interested. So we women stepped up. Lipman must have quite a handful of fingers. In fact, the Wall Street Journal had a significant number of women reporters throughout the 1970s and 1980s -- including ones who covered banking, commodities, food, broadcasting, the stock market, and Hollywood. By the time Lipman arrived in 1983, the WSJ had been covering publishing, advertising and retailing -- highly coveted beats -- for years, with both men and women. And it had plenty of ladies' rooms, too. You doubt us? Just ask around the NYT. Plenty of former WSJ reporters and editors worked there in the 1980s and will confirm that Lipman's statement is deeply, totally false. Start with managing editor Jill Abramson or business editor Larry Ingrassia. Lipman then claims that women "gained respect" at the WSJ only in 1996, when Alix Freedman won the national reporting Pulitzer for her coverage of the tobacco industry. What about in 1983, when the WSJ's Manuela Hoelterhoff won the Pulitzer Prize for criticism? Oh wait -- Lipman was still at Yale. What she doesn't know doesn't matter. When Lipman gets around to her more recent achievements, she dismisses them as rare blips on the radar screen. She describes herself as "one of the few women to have run a major business magazine." -- not bothering to note that there are only a few major business magazines. Even so, Lipman might have mentioned Jane Amsterdam, the founding editor of Manhattan Inc., one of the nation's most respected business magazines before it folded in 1990. Amsterdam was hired for that job in 1984, more than two decades before Lipman became the editor of Portfolio. Or Katrina Heron, the editor of Wired from 1997 to 2001. Women haven't yet achieved parity with men on the magazine front, but Lipman is hardly a pioneer. Lipman saves her most outrageously inaccurate assertion for last. "My career was recently summed up in a New York magazine article as leggy," Lipman writes caustically, as though that single-handedly set the woman's movement back by twenty years. This seems an odd argument from a writer who, a few paragraphs later, advises women: "Don't be afraid to be a girl." S. I. Newhouse Jr., chairman of Condé Nast, falls in love with his editors. His romance with Joanne Lipman began over lunch at his U.N. Plaza apartment, with its beige carpets—no red wine allowed—and paintings by Warhol, de Kooning, Cézanne. 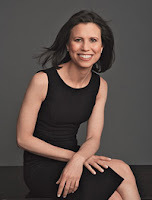 Lipman, 47 years old, who’d spent her entire career at The Wall Street Journal, is a serious journalist with a serious mien, and long legs, which she likes to show off with short-skirted power suits. Lipman is “attractive,” in Newhouse’s vernacular—“He uses the word like others use the word spiritual,” says a former editor. The two brainstormed at a small dining-room table. Newhouse, in his standard worn New Yorker sweatshirt, told her he had an idea for a business magazine. Newhouse didn’t say much more; he rarely does. He asks questions. But Lipman excitedly filled in the details. Anyone who thinks that sentence -- or even that paragraph -- sums up Lipman's career as "leggy" just can't read. Which, now that we think of it, may explain the failure of Portfolio, a magazine that proved to have no legs at all. Not knowing anything about Joanne Lipman until this morning, I was shocked by her Op-Ed piece in the Times. A few Google searches revealed why she wrote this article. She had a promising career at the WSJ which she left to start a new magazine which failed. Lipman now has a lot of free time and needs to resurrect her career. What better way than to write a biased particle that would appeal to the Times readership? Lipman had poor judgment, wouldn't listen to her subordinates and couldn't produce a magazine which appealed to readers. One final point: I wasn't able to find out if Lipman has any children. If she doesn't, that would explain a lot. All Lipman would have to do is spend a few days visiting today's high schools and colleges to see that girls are outperforming boys by a wide margin in the classroom. If you ask these girls about issues like equal pay and the glass ceiling, they would look at you like you are from another planet. This Op-Ed is such a great look into the addled mind of Joanne Lipman. It's self-serving, historically ignorant, and hard to argue with because it's so poorly argued in the first place. Everyone who knows her assumes that this was written as an attempt to be considered for a job (the top spot at BW did just open--her "good friend" Steve Adler got the boot). Here's hoping that Norm looks at this and at her brief series of Editor's Desk columns at Portfolio when thinking about whether to tap her or not. There's a reason why NY Mag's Fishman didn't call her "brainy." The [lauch of the Wall Street Journal's Saturday paper was] so expensive and complex that Journal management [considered] it the most important gamble in the company’s recent history. Which is why [then Managing Editor Paul] Steiger had entrusted it to his loyal protégée, Joanne Lipman. The 44-year-old editor had already created the paper’s most financially successful innovation of the past decade: the advertising-packed Friday “Weekend Journal.” This success elevated her to the highest editorial post ever occupied by a woman at the Journal and made her likely to rise higher. I'm not sure why the previous post dropped the second "9" in "12899," but here's the url again. Joanne Lipman is not particularly tall and does not have particularly long legs. To the first anonymous poster: She mentions being pregnant in the piece, so how carefully did you read it if you don't know whether she has children? She does. RE: All Lipman would have to do is spend a few days visiting today's high schools and colleges to see that girls are outperforming boys by a wide margin in the classroom. If you ask these girls about issues like equal pay and the glass ceiling, they would look at you like you are from another planet. Yes, but that does not mean those aren't problems they will face in a few years time. Not to nitpick or anything--it's not really a central point in your post--but I believe Ada Louise Huxtable was not only the first woman to win the criticism Pulitzer, in 1970, but the very first winner of the Pulitzer in that category. Emily Genauer of Newsday won it a few years later, so Manuela Hoelterhoff was not the first. Anonymous #7 -- Thanks, you're right about Huxtable and Genauer. We'll fix in the post. What about in 1991, when the WSJ's Susan Faludi won the Pulitzer for Explanatory Journalism? Susan Faludi worked for the NYT in a special program for something like 18 months before being turned down for a permanent position. She went to the WSJ. Surely someone at the Times must have been aware of that as well. There is much of value in what Lipman writes but there also is too much carelessness, including a here description of the movie made about a journalist and the tobacco industry, Lipman claims that women at the Wall Street Journal "gained respect after one of our number won a Pulitzer Prize for national reporting on the tobacco industry." That would be Alix Freedman, who did great work on the subject. Lipman goes on to say: "Of course, when Hollywood made the movie about the investigation, her role was played by a man." Lowell Bergman, the then 60 Minutes reporter who was the journalist portrayed in the movie was not a stand-in for Freedman. The Insider was simply the story of Bergman's experience and the suppression of his tobacco industry story, rather famously, by CBS. Under what circumstances will *The Times* consider that the needs of men and boys merit attention? For two years male job loss has been four-times that of women, yet *The Times* simultaneously celebrates the resultant proportional increase of women in the work-force while characterizing them as victims. Boys account for only 40% of college seniors, drop-out of high school more often, outnumber girls 3-to-1 in learning disabilities, are three times as likely to be emotionally disturbed, expelled four times as much, eleven times more likely to end up in a correctional facility, six times more likely to commit suicide, and out-voted for high school student offices. Similarly, men are far more numerous among the homeless, represent 98% of battle deaths, have shorter life expectancies, account for over 90% of on-the-job deaths, far more numerous in dangerous jobs, and several times more likely to commit suicide although women attempt it far more often. The misandry at *The Times* is appalling. And let's not forget Janet Cooke's Pulitzer! Gosh that high water mark was almost 30 years ago.